Membership in the Weston PS PTO is only for parents and/or legal guardians of students attending the Weston (CT) Public Schools. By joining the Weston PS PTO, you help us meet schools needs that are outside the scope of their budget. When you go a step further and volunteer to help with events—or join our board— you set a fine example for our students to follow, and greatly encourage our teachers and staff. We'll keep you well informed with weekly PTO Newsletters and periodic email communication throughout the year. Click on the "Click Here" icon above. Select "Create Account" and fill in your name, email address, and password information. Everyone is a new user, it will not recognize your email address from last year. Complete the Student Information form; enter all your Weston students and the school they attend. Your information will appear exactly as you type it, please do not use all capital or lower case letters. We will not correct what you typed, how you enter it is how it will appear in the Directory (if you elect to be published). Correct format: Jane Doe, John Doe. Inforrect format: JANE DOE or john doe. Complete the Directory/Publish Preferences. You have complete control over what information will appear in the Directory. No information will be visible online or in print unless you select that option. Once these forms are complete, you will be presented with forms for PTO Membership, Each school has their own PTO Membership. 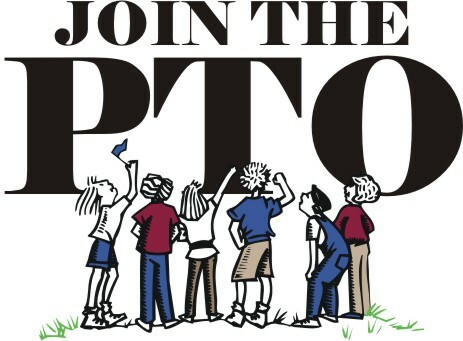 The PTO Membership options you see will be based on the school information you entered on the Student Information form. Each Family will receive a complimentary print-copy of the Weston PS PTO Family directory (one directory per Family, not per PTO). Membership will remain open throughout the school-year however only those members that register and pay prior to September 15, 2018 will appear in the print directory. If you join after September 15, 2018 you will appear in the online directory and receive PTO communication. As mentioned above, you have complete control over what information will appear in the Directory. No information will be visible online or in print unless you select that option. If you want to purchase additional copies of the print directory, you can do so during the registration process. In addition to the print directory, you will also have access to the secure online version of the directory. Only paid PTO members receive a print-copy and have access to the online directory. As a courtesy, PTO communication will be sent to all families through September 15, 2018. After this date, if you are not a member PTO communication will cease. Payment is due at the time of registration; membership dues are $20 per PTO. Payments can only be made online; we accept MasterCard or VISA. Unpaid registrations will not receive any PTO commnuication after September 15th and will not be included in the Weston PS PTO Family Directory. If Financial Assistance is needed, please reach out to your school Principal. All requests will remain confidential. Please note, financial assistance only applies to PTO membership and does not apply to the purchase of additional directories.